The General Ledger Report shows you the details of every transaction going in and out of your accounts. These transactions are generated whenever you issue Invoices, track Expenses, accept Payments, and log Other Income to name a few. This goes hand in hand with the Trial Balance report, helping you ensure that all your Categories and Parent Accounts balance. You can also use the General Ledger to match your bank statement (after adjusting date range filters). 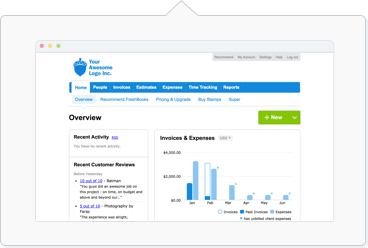 Note: Approachable Accounting reports like the General Ledger are available on the Plus and Premium plans only. The General Ledger also will only be accurate with data from January 1, 2018 onwards. Select General Ledger under Accounting Reports. If your General Ledger has more than 5000 lines, you'll see the option to Change the filters to reduce the data set, or to Export full Report for Excel instead. Also, clicking More Actions in the top right will give you the option to Export your Report to Excel, or Print your Report. The Send button allows you to send the report to your accountant, or anyone else that needs to view it. For each account, a list of transactions are displayed which make up the account’s balance. Each transaction has two corresponding entries within two accounts. Click on any transaction’s Account Type (highlighted in blue) to drill in to find more details on the transaction.